What exactly is an adult playground, you ask? Imagine the times you spent as a kid at an arcade playing classic games like Pac-man, or trying to get the high score on a pinball machine, or competing with friends playing pingpong or football. Imagine all that, except now you’re an adult. And there’s a live DJ spinning. And there’s a bar. And you’re sipping a nice cocktail made with Perrier. It was a definitely a very cool, very adult space, yet evoking memories from your youth. Even the floor was covered in artificial grass, which was a fun touch. 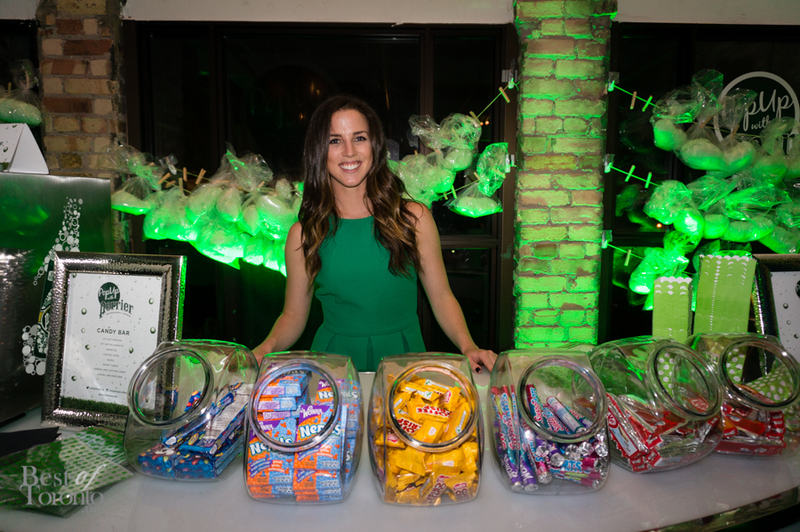 Towards the back there was even a Candy Bar where you were given loot bags to fill with an assortment of sweets. There were the recognizable Sweet Tarts and Coffee Crisps, the uncommon milk chocolate and orange variations of Kit Kats, and even some throwbacks like Nerds, which was awesome to find. I haven’t seen these in a long while – yet another element that brings back the nostalgia of being a kid. There was also lime-flavoured popcorn available at a popping station nearby. 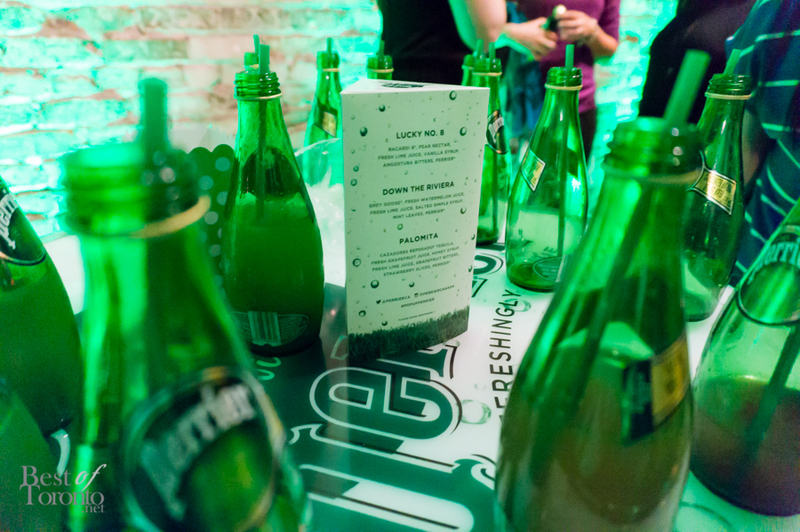 The purpose of the event is of course to promote Perrier as a drink of choice for the summer. To do this, they crafted three delicious cocktails, all including Perrier as an ingredient. My personal choice was ‘Down the Riviera’, which combined watermelon, lime, and mint flavours quite well into a sweet and sour concoction. The cocktails were served in Perrier bottles, which was perfect for an active adult playground where drinks might easily get spilled. It was also a great way to really drive home the Perrier brand. Everyone had a great time playing in Perrier’s adult playground. 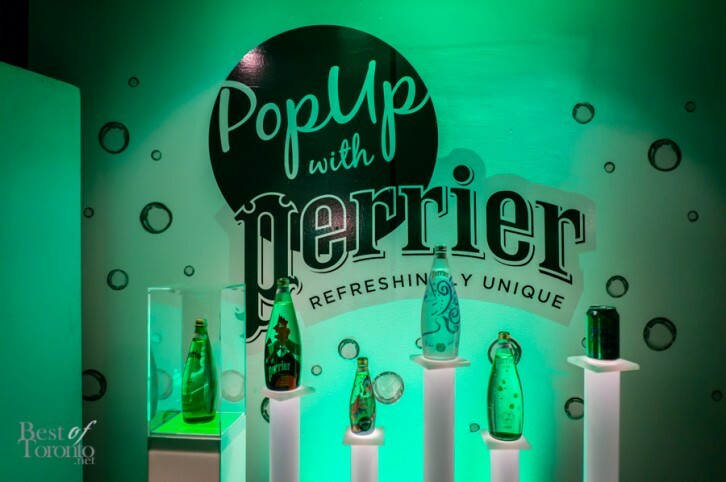 We look forward to more fun and unique events from Perrier in the future. Be sure to try out the recipes for the Perrier cocktails this summer!